The humble cold is one of the most common illnesses, leading to more doctor visits and absences from school and the workforce than any other illness every year. So what causes you to catch colds? Technically you do not "catch" colds but, rather, become infected with a cold/flu bacteria or virus. Whether you come down with a cold is due to the fact of whether your immune system is working at its best to ward off invaders. When we function at our optimal level, our immune system – which protects us from invading bacteria and other micro-organisms – can cope. However, when we are stressed our immune system is greatly challenged and that is when we spiral downwards because our healthy body frequency range is lowered, allowing the invading microbes to take over our system. What is meant by Healthy Frequency Range? Frequency is a measurable rate of electrical energy that is constant between any two points. Every living thing has a frequency, including our brain and our bodies. Electrical frequency is measured in hertz (Hz), kilohertz (kHz), and megahertz (MHz). The average frequency of a healthy human body is between 62 - 78 Hz. How is all of this known? In 1992, Bruce Tainio of Tainio Technology, a division of Eastern Washington State University, developed new equipment to measure electrical frequency in humans and foods. This equipment was used in a research study at Johns Hopkins University to determine the relationships between frequency and diseases. Tainio found the average frequency of a human body is between 62 - 78 Hz, the upper body being between 70 - 78 Hz and the lower from 62 - 70Hz. Further support for these findings is given by Dr. Robert O. Becker M.D. in his book, The Body Electric, who also explains that a person's health can be determined by the frequency of the person's body. Another doctor and scientist, whose research has been buried for some time but has managed to resurface due to the work of avid supporters, is Dr. Royal Raymond Rife M.D. who developed a frequency generator in the late 1920's. In brief, Rife successfully treated 1,000 patients diagnosed with incurable cancer in the 1930's. He was honoured with 14 awards and an honorary doctorate. After the unsuccessful attempt by pharmaceutical companies to buy out his research and equipment, his office was ransacked, his research paperwork was stolen and the machine that healed all those 1,000 "incurable" cancer patients was destroyed. What Rife proved is that every health disorder has a frequency, which in turn responds (resonates) to a specific (optimal) frequency for its dissolving/healing in the body. People who maintain their optimal frequency, at least of their immune system, would prevent development of symptoms and illnesses associated with the common cold. Of course, in practise this does not work for most of us because, being human, we experience stress and emotional challenges on a daily basis, which lower our body's frequency. Hence, we need to raise our body frequency regularly/daily with the right substances that are compatible at the cellular and energetic level of our being, rather than wait until our body frequency has dropped so low that it becomes a friendly host for microscopic invaders. According to a report (Epidemiology, May 2001; 11:345-349), psychological stress - particularly the chronic type that may accompany a personality with a negative outlook - is a risk factor for contracting colds. An optimistic outlook and outgoing personality seemed to protect individuals, researchers found. The findings indicate that high levels of psychological stress are closely associated with contracting the common cold. While the common cold is rarely a serious health hazard, it is responsible for about 30 million days of lost work in the U.S. alone each year. To investigate whether stress increased the likelihood of developing a cold, the researchers surveyed more than 1,100 Spanish university staff and students at regular intervals over a one year period. The study focused on different types of stress, including stress from life events, perceived stress, having a generally negative outlook, anxious or compulsive personality, compared with having a positive outlook/attitude to life. Why should Antibiotics be avoided? Colds can be contracted as the result of contact with more than 200 different viruses. However, among all of the cold viruses, the rhinovirus and the coronavirus cause the majority of colds. Each time you have a cold, it is caused by a distinct virus - e.g. adenovirus, rhinovirus, parainfluenza virus, and coronavirus. Viruses are much smaller than bacteria. They are tiny clusters of genetic material surrounded by a protein 'wrapper'. How Are Colds Actually Contracted? The most common source of infection is not from coughing or sneezing, or walking barefoot in the rain, but from hand-to-hand contact. That is why, when you have a cold, washing your hands frequently is very important. The likelihood of contracting the cold virus increases, however, if one is overtired and physically exhausted. Most uncomplicated colds last eight to nine days; about 25% last two weeks; and 5-10% last three weeks. As long as one's temperature remains below 38.8 degrees Celsius, there is no need to lower it. Cold viruses do not reproduce at higher body temperatures. In fact, a slight fever should help us get rid of the virus quicker and feel better much sooner. It is our body's own way of ridding itself of toxins. What Can Be Done to Prevent Getting the Common Cold? While orthodox medicine does not have the answer for colds and 'flu', nature does - it comes in the form of pure organic unadulterated Therapeutic Essential Oils. Why? Because they are made up of very high frequency molecules (ranging from 52MHz to 320MHz) and contain nature's wisdom and power to raise the body's frequency and to assist our immune system in fighting viral invasions. For greater clarity, organic Therapeutic Essential Oils are not the same as everyday aromatherapy oils, which are produced for fragrance and other purposes. We now know that, in order to prevent colds, we need our immune system to be working in top gear and our overall body frequency to be in its optimal range. Our optimal range of body frequency can be lowered by negative thoughts/emotions, stress, blood chemistry imbalance, and ingested chemicals, which allow us to contract colds and viruses in the first place. Research has found that the high frequency of essential oils creates an environment where bacteria, fungi and viruses cannot survive. Essential oils provide a high frequency environment for the body. Researchers have found that some essential oils - oregano, thyme and rosewood oils, in particular - create an autolytic (destruction of cells and tissues by enzymes produced by the cells, themselves) reaction in organisms, including streptococcus pneumonia. Dr. Diane Horne of Weber State University in Ogden, Utah, told the 98th general assembly of the American Society of Microbiology about the serendipitous discovery of the impact of essential oils on cells such as streptococcus pneumonia (bacteria that causes a very serious type of pneumonia in children with sickle cell disease). When Dr. Horne's co-researcher was spraying aromatic oils in the laboratory, Dr. Horne looked at the streptococcus pneumonia bacteria that she was preparing for another experiment and noticed that its cells were literally falling apart. Dr. Horne and co-worker Sue Chao, of the Young Living Essential Oils Company of Payton, Utah, tested the autolyzing properties of 74 essential oils and discovered that the best results occurred with oregano, thyme and rosewood and that intermediate inhibition of the pathogens was achieved with cinnamon oil and clove oil. Dr. Horne pointed out that the oils also proved to be a powerful remedy against E. coli (a bacterium and virus in one) and several species of fungi. What these tests revealed is that essential oils, such as oregano, clove, cinnamon, rosewood and rosemary, are so powerful that viruses and bacteria cannot survive in their presence. That is, the viruses and bacteria are destroyed when they come into contact with these therapeutic essential oils. Dr. Horne and the Young Living Essential Oils company are not the only ones who now use therapeutic essential oils for destroying viruses and bacteria. Up until a decade ago, France was the forerunner of medical aromatherapy, where essential oils are encapsulated and prescribed to be taken orally or as suppositories by the patient. French aromatherapy doctors employ the aromatogram, where a sample is taken from the infected area of the patient, cultivated in a laboratory, and then subjected to various essential oils to find the most effective oil to treat the infection for the specific patient. They have found that different oil combinations work better when the oil combination is specifically blended for a patient. Even if various patients suffer from the same strain of bacteria, some oils seem to work better on certain people than on others. While this is an over-simplification of the serious medicinal aspects of aromatherapy, it is helpful, nevertheless, in demonstrating the effectiveness of therapeutic essential oils in the medical arena. In this particular field of essential oil therapy, there are some prominent medical doctors, such as Dr. Lapraz and Dr. Duraffourd of Paris, who have undertaken thousands of clinical trials to determine the effectiveness of essential oils in medical applications. How Do Essential Oils Exert Such Powerful Effects In Our Bodies? Chemically, essential oils' cell structure is very similar to the human cell structure. The essential oil of a plant and the human blood share several common properties. This shared chemistry makes essential oils one of the most compatible of all plant substances with human biochemistry. In addition, essential oils have a protein-like structure that is similar to that found in human cells and tissues, which allows the human protein cell structure to readily identify and accept the chemical constituents (powerful healing properties) of essential oils. Working as the chemical defence mechanism of the plant, essential oils possess potent antibacterial, anti-fungal, and antiviral properties. Essential oils are the plant liquid containing the Life Force of a plant. 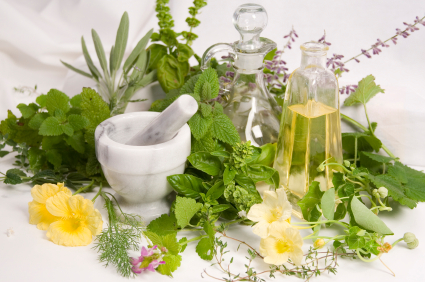 Analogous with the human body, essential oils are the blood plasma of a plant. They are volatile liquids distilled from various parts of plants, including seeds, bark, leaves, stems, roots, flowers and fruit (essential oils are sensitive to heat and should not be burned, as that destroys their therapeutic properties). If a leaf or any part of a plant has been cut or damaged for some reason, the plant releases a liquid substance that protects it from further damage from microbes, bacteria, and viruses, and helps the plant to regenerate itself. This liquid is the essential oil that helps the plant to survive, which is why essential oils are called essential. Put simply, without it, the plant can't survive. This same principle works in a very similar way in the human body, due to the fact that essential oils can permeate our tissues by being so highly compatible with our cell structure. How can this be possible? It is possible because essential oils are complex substances, each containing 80 – 300 compounds of different chemical constituents, and all these compounds work synergistically. Hence, nature's wisdom is encoded in the life force of a plant. Because essential oils are the life force of a plant, they need to be treated with the utmost professional respect and understating in order to retain their powerful healing properties. So, how therapeutic are they? Just follow your nose! The smell of the oil reveals how pure and potent it is. For example, when inhaling any oil - particularly peppermint, lavender or rosemary - the smell should linger on in the brain and have a very fresh smell. If it has a very sharp tinge to it or causes a sudden sharp sensation in the any part of the head, it contains chemicals which are 'playing' with the neurotransmitters and receptor sites in your brain. It also helps if you ask the company where and how they distill the oils and what chemicals are used. Many essential oil companies still use solvents in the process of distillation. You can tell by the smell. Why do they do it? Because distillation is a very expensive process, which requires time, care and integrity. Oregano is very aggressive against all microbes and it helps with digestive problems and is anti-inflammatory. Oregano and cinnamon tested at 95% efficiency against candida, E. coli and streptococcus strains. Thyme oil is very powerful oil on viruses and has demonstrated protective properties for liver, kidneys and the heart due to its very high antioxidant properties. Fennel oil, strengthens digestion, expels parasites and supports and raises overall metabolism. Fennel and Juniper together exert a warming effect on the kidneys; very helpful during winter. Cinnamon is 99.9% effective against all viruses. Ebola virus cannot survive in the presence of pure unadulterated cinnamon. Rosemary is effective for parasites, fungi and, therefore, candida. Clove is highly protective, and is the most powerful antioxidant in nature. In summary, orthodox medicine has no cure for the common cold and the latest mainstream advice for preventing colds comes from studies on stress, stating to just avoid stress. This is neither possible nor realistic for the majority of the population as stress is always there in some way, emotional or just the demands of the 21st century. Extensive scientific research has proven that essential oils are quite capable of fighting the common cold because they are anti-viral, anti-bacterial, anti-fungal, anti-parasitic and anti-inflammatory. Using Grade-A organic therapeutic essential oils may help your immune system to ward off the attacks of the common cold as well as destroy other microbial invasions, such as candida infections, viruses and parasites. As essential oils are very high frequency molecules, ranging from 52MHz - 320MHz, they are able to raise our overall body frequency (which is 62-78 Hz when in its healthy range) every time we use them. This way, essential oils are the best ammunition against the common cold as well as destroying unwelcome microbial invasions, along with the daily dose of genuine positive thinking. YOU MAY CERTAINLY ORDER OILS FROM THIS SITE. ALL YOU HAVE TO DO IS CLICK ON THE "YOUNG LIVING OILS" TAB TO THE RIGHT AND IT WILL TAKE YOU RIGHT TO MY OFFICIAL "YOUNG LIVING OILS" SITE. YOUR OILS WILL BE DELIVERED RIGHT TO YOUR DOOR.